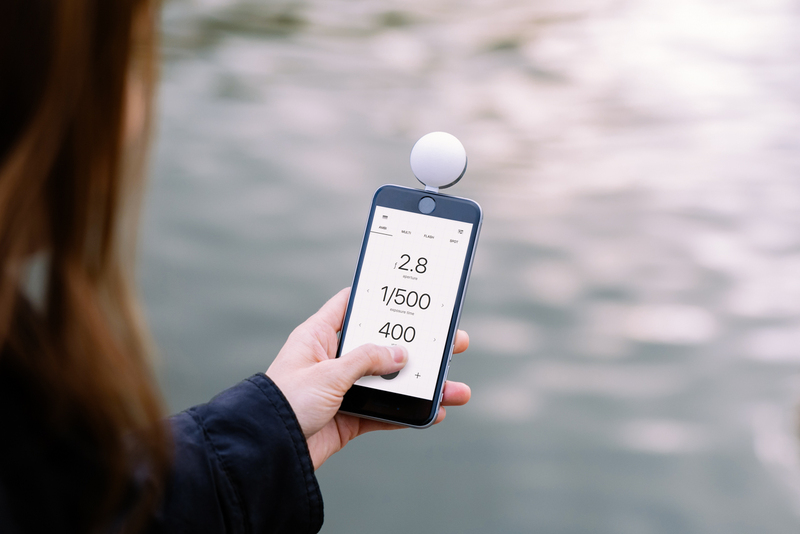 The team behind the Lumu smartphone light meter has launched a Kickstarter campaign to fund the production of Lumu Power, their next generation device which in addition to ambient light levels is now also capable of measuring flash exposure and color temperature. 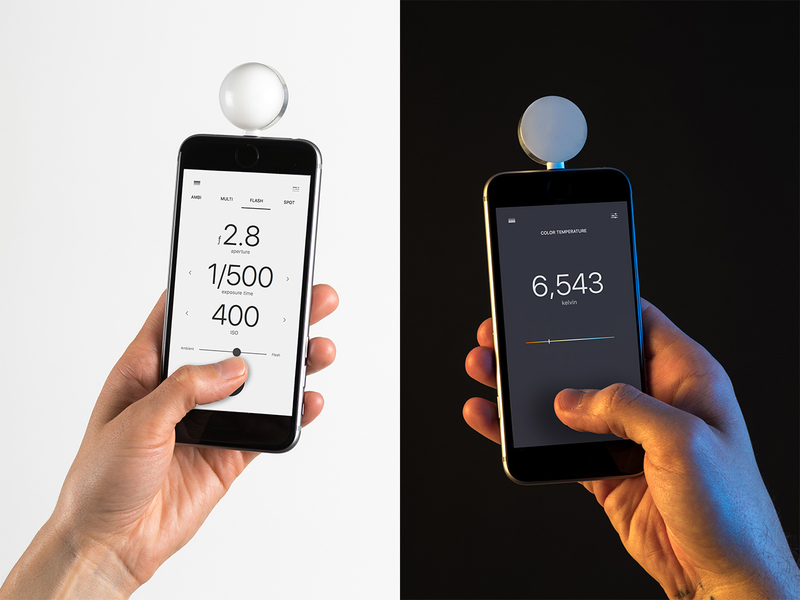 In order to do so, the Lumu Power uses two sensors, one on each side of the half-dome design. A photodiode with CIE spectral luminous efficiency measures the light levels while a True Color sensor, which complies with the CIE 1931/DIN 5033 color standard, reads the color temperature. The Lumu Power comes with a stainless steel housing and attaches to iPhone or iPad via the Lighting connector. The diffusers are made from polycarbonate lexan, and like on the original Lumu, dedicated apps are used to control the device. There are currently seven compatible apps in the App Store and Lumu says more are coming. Thanks to its smartphone connection and app control, Lumu Power is very flexible and might also appeal to lighting designers, lighting retrofit professionals, horticulturists and others. The crowdfunding campaign has only started today but the $30,000 funding goal has already been reached. You can still secure a Lumu Power by pledging $149 on the Kickstarter page where you’ll also find additional information and technical specifications.